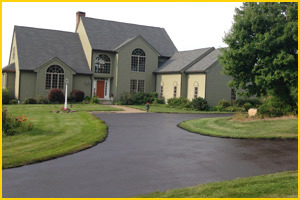 Connecticut Sealcoating, LLC is a premier asphalt contractor serving Shelton, Connecticut. Our crew of asphalt professionals has many years of experience in the asphalt paving industry. We offer services ranging from parking lot maintenance to residential driveway repair and more. We are dedicated to customer service and excellent final products. 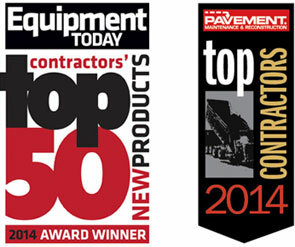 Make sure to contact us today with any of your commercial, municipal, or residential asphalt paving needs. Our team received a call recently from a local resident. They were contacting us looking for residential asphalt paving in Shelton. They explained to us that their asphalt driveway surface was in poor condition. They described a number of cracks that were continuing to increase in size. They wanted to address the problem before any larger cracks or potholes developed. This would help to protect the overall asphalt driveway, as well as protect their cars and visitors from harm. We scheduled to visit their residence in order to provide an in-depth evaluation of their asphalt surface. Upon arrival, we quickly noticed that the driveway was in need of a pavement overlay. The cracking was severe enough that general crack sealing would likely be ineffective. The clients were quite understanding of the need for new asphalt paving. We provided them with a fair quote, outlining the associated costs and schedule for the asphalt paving project. They were pleased with the efficient schedule and fair pricing. We began work on their asphalt driveway the following week. We began by sweeping the asphalt surface before applying a new layer of bitumen to the existing asphalt layer. We followed the new layer with a layer of sealant. Sealcoating is one of the most effective forms of proper asphalt maintenance. It significantly reduces the chances of penetration by foreign materials. By the time we had finished the asphalt paving the driveway looked fresh, sturdy, and aesthetic. We were very happy to have been able to provide another Shelton resident with a top of the line asphalt driveway.